We are now official bloggers for Sherry Wines! We are now official bloggers for Sherry Wines! Home » BLOG » We are now official bloggers for Sherry Wines! We are now official bloggers for Sherry Wines! 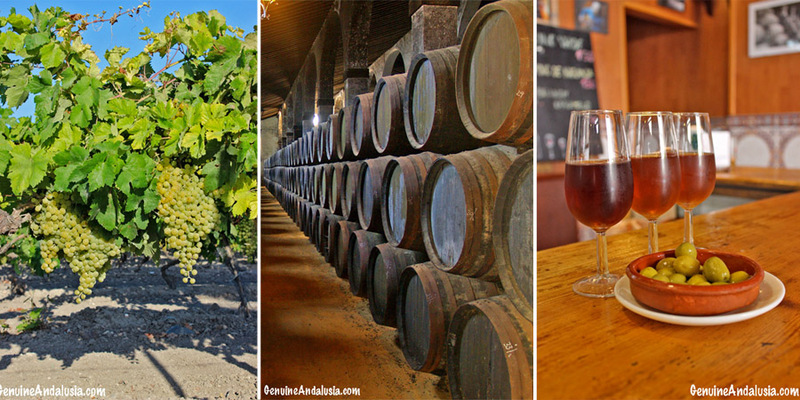 Genuine Andalusia is now an official blogger for Sherry Wines! As we explain in this post, Genuine Andalusia is a project that was born in the Sherry town of el Puerto de Santa María. “El Puerto”, as it is locally known, forms the so-called Sherry Triangle together with the towns of Jerez de la Frontera and Sanlúcar de Barrameda. It’s only in this particular area where Sherry can be aged so we’re most proud of treasuring a wine that is unique in the world. Sherry is not only the wine we are most fond of and feel responsible to promote. It is also an industry that has shaped the architecture, the aroma, the landscape, the gastronomy, the character, the history and of course the economy of this region of South West Spain. Majestic bodegas, idyllic vineyards, quaint vineyard-houses, quirky taverns, ancient casks, rustic tools, old vines, chalky soils, yearly harvests… They all form part of the imagery of our homeland and of its culture. A local culture that we love to share with our guests during our tours and that we are now also spreading through the Sherry Wines website as official bloggers! So every quarter, we will be sharing an article about the cultural aspects of the Sherry Triangle and the first ones have already been published! In our first article, we wrote about how Sherry and Flamenco Music originated from South West Spain. Also, we described the strong presence of Flamenco Music in the Sherry Triangle towns and more notoriously in Jerez, and how it resulted in a Flamenco festival that in 2016 celebrated its 20th edition. You can read the article here. In our second article, we talked about the Spring fairs in the Sherry triangle and described the magical and colorful atmosphere that fills the towns in the area during these celebrations. You can read the article here. In the third one, we described the celebrations that take place in Jerez each year following the grape harvest. These celebrations form part of a big festival called “Fiestas de la Vendimia” and you can read about it here. In the fourth article, we wrote about the Sherry and Flamenco Christmas parties that fill the streets, plazas and social clubs of Jerez from early December until Christmas day. They are the so-called Zambombas and you can learn more about them here. We hope our contribution will help to promote the rich and colorful culture of the area where we are based and that we call home. And if your travels are going to take you to this part of the world, don’t hesitate to contact us, we’ll be delighted to help you plan a magical stay in the Sherry Triangle filled with authentic local experiences!